Hindustan Unilever (HUL) and ITC said they are in the process of reducing prices of commonly used items to pass on the benefits to consumers. New Delhi: With the revised GST rates coming into force from Wednesday, FMCG majors such as Hindustan Unilever (HUL) and ITC said they are in the process of reducing prices of commonly used items to pass on the benefits to consumers. 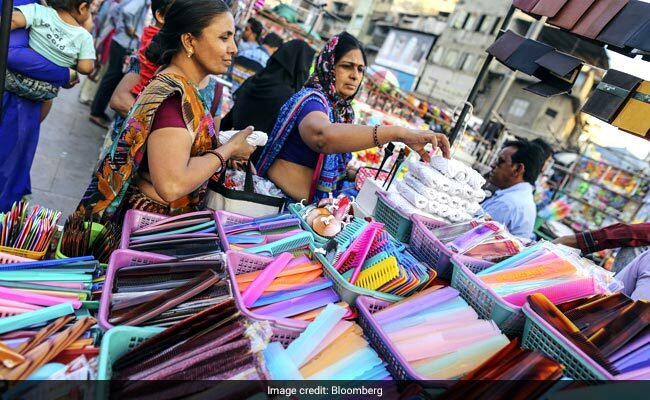 In a relief to consumers and businesses, the GST Council last week reduced tax rates on over 200 items, ranging from shampoos to detergent, chewing gum, chocolates and beauty products. "HUL remains committed to passing on the benefits of GST reduction to the consumers. We are reviewing all our networks so that we can commence production of products with lower prices as soon as possible," an HUL spokesperson told PTI. In many cases the production with lower prices will commence this week itself and price changes will be communicated in due course, he added. While putting revised prices on the products would take some time, the companies have asked their channel partners to reduce prices in line with the steep reduction in the GST rates. Large retail outlets have started advertising the downward revised prices of FMCG items on account of reduction in tax rates. Tax rate on items such as coffee, custard powder, dental hygiene products, polishes and creams, sanitary ware, after-shave, deodorant, detergent and washing power, razors and blades, has been cut from 28 per cent to 18 per cent. "We welcome this step by the government and will pass on the benefits to the consumers," a P&G spokesperson said adding that the company looks at GST as a positive reform and will benefit the Indian economy and the industry in the long term. The companies, however, declined sharing the product-wise price reduction. Other items on which tax rate has been cut from 28 per cent to 18 per cent include detergents, shampoos, hair cream, wire and cables, furniture, mattress, trunk, suitcase, hair dyes, make up, fans, lamp, rubber tubes and microscope. "GST is a transformational reform. The recent changes augur well for consumers. We are evaluating the implications given our wide portfolio of FMCG products," an ITC spokesperson said. Earlier, chocolate maker Mondelez India said keeping the interest of consumers in mind the company will pass on the benefits to them. The GST Council on November 10 annnounced shifting as many as 178 items of daily use from the top tax bracket of 28 per cent to 18 per cent. While few items were shifted from 18 per cent bracket to 12 per cent, some other were moved from 12 per cent to 5 per cent. The revised GST rates on the products and services are effective from Wednesday.